Nice idea. But how do you handle a situation when there are multiple versions of the same page in the log (i mean if you modify a page that's already in the log)? This will happen all the time because every modification must be propagated up to the tree root. 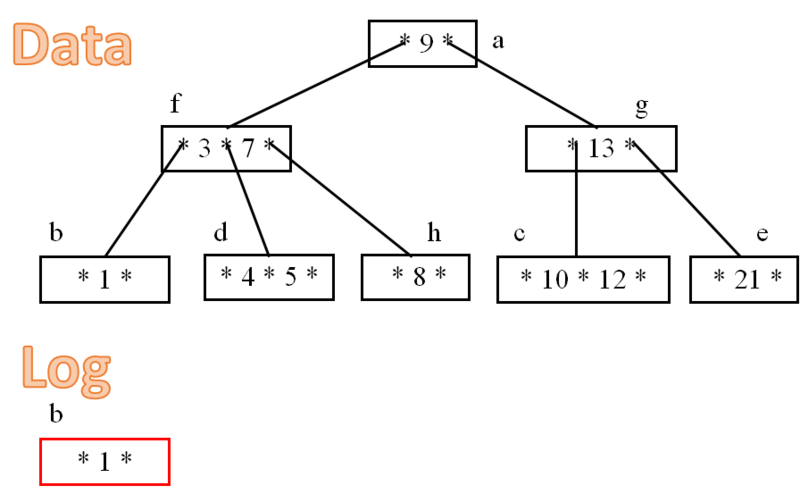 To avoid deep trees you may use configurable Btree*M where M is number of slots. Rafal, The idea here is that you don't have to propogate all the way to the root. And you can do that by maintaining translation table in memory. Lex, Those are B+Tree, I can usually put 100+ items per page. 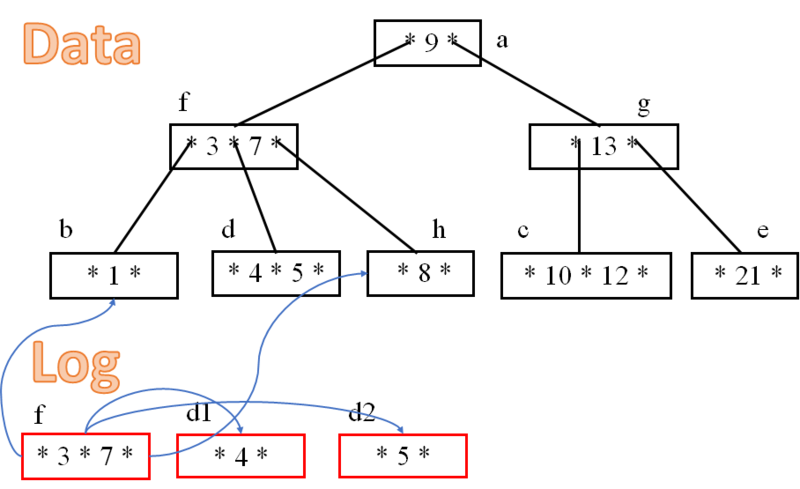 Rafal, The page table is stored as immutable structure. That means that we get cheap copies & modifications, and the current transactions can use the old version. We don't allow concurrent write transactions (we allow concurrent writes, but they are merged to one tx). Since the earlier discussion on allocating "shadow copy" pages from a memmapped journal (as opposed to temporary blocks of unmanaged memory for the duration of a transaction), I had also realized that the journal can be regarded as a "multi-version" shadow copy of the data file (as of the last data sync), and that no more shadow copying is required for the data file itself. A scheme like this, with periodic data syncing from journal to data file appears to work quite well, but in my experience so far, does require some careful tuning, especially if journal and data file are located on the same (spindle) disk volume. Even more so if the disk volume is shared with other processes (virus checker, OS, ...). Key to good journal write performance seems to be to use rather small journal chunks (16 MB) and to recycle the chunk files after they have been synced with the data file (and optionally copied to a backup location). Key also seems to be to use adaptive data sync scheduling, to keep the amount of pages per sync within a certain range. If the amount of pages to sync is large, increase the sync frequency, if it is small decrease the frequency. A larger average amount of pages/sync increases overall throughput (up to a limit), but leads to some pretty big latency spikes. A smaller amount improves this, but goes at the cost of average throughput.Not so trivial to tune well. Alex, Yes, that is pretty much what we are doing. I am not sure how we are going to tune things, and reusing the journal isn't easy if you want to use incremental backup, but it is something that we are working on.